We specialize in Screen Printing! From 12 to 10,000 pieces we can print your custom order with up to 10 spot colors or using processed artwork for a photo-realistic look! Promote your organization with custom printed promotional items! Stadium cups, frisbees, pens, towels, chap stick, hand sanitizer, koozie cups...we could go on for days! Come see us for unique items to market your business and spread your name. With in-house digitizing and embroidery, we are the obvious choice for your embroidery needs. For a sharp looking business polo, lab jacket, or school uniform, we can customize your look with a lasting embroidered logo or monogram. Car wraps, window perfs, vinyl decals, signs, banners, and magnets can be custom made with full color graphics! Do you want the most impact for your advertising dollars? Car wraps and vinyl decals provide a constant source of visual marketing, whether on the road or parked! Window perfs allow for eye-catching custom imaging right on your storefront! Custom quoted for your needs! Come talk to us today! We print large-scale photo and canvas prints! We have the best prices in town for wrapped canvas photo prints starting at 8" x 8" and growing up to 40" x 50". We print your high-quality digital images on only the best acid-free canvas material. Photo prints can be custom made and include panoramic sizes! 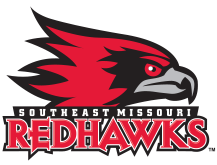 Horizon Screen Printing is a Licensed Manufacturer of Southeast Missouri State University Apparel! Horizon Screen Printing is a locally owned company and we love our schools! We are proud to support our Redhawks in the classroom and on the field, track, court, or gym! Call us for a quote or with questions! We would love to hear from you.